US equity indexes ended the week on a moderately positive note, sp +4pts at 2476. The two leaders - Trans/R2K, settled higher by 0.4% and 0.6% respectively. 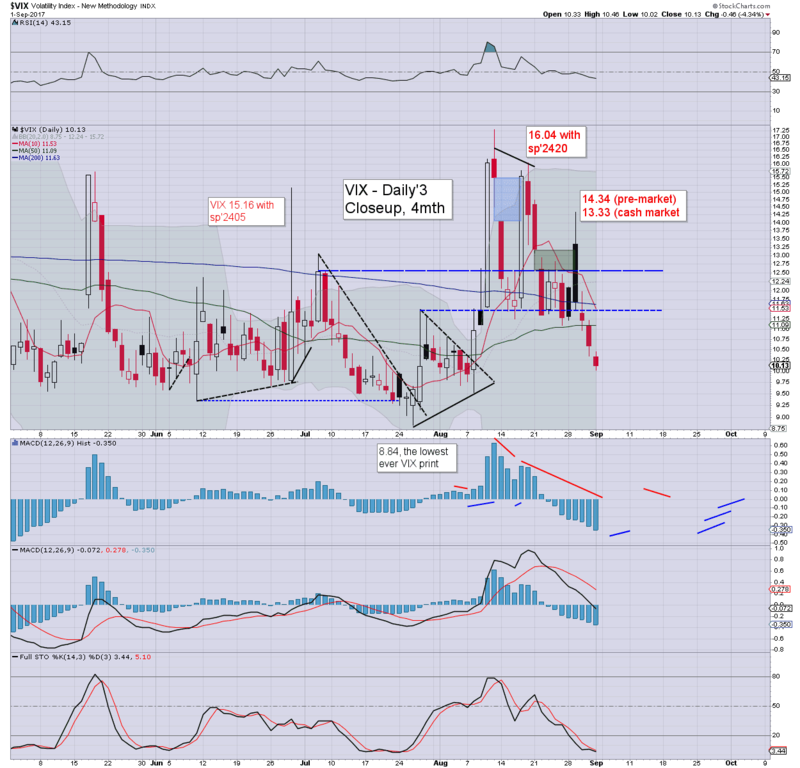 VIX settled -4.3% at 10.13. 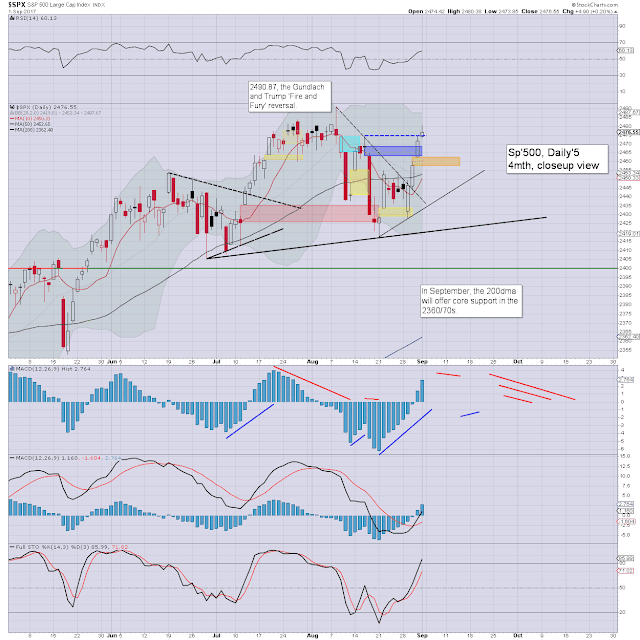 Near term outlook offers moderate weakness to at least 2462/57 next week. 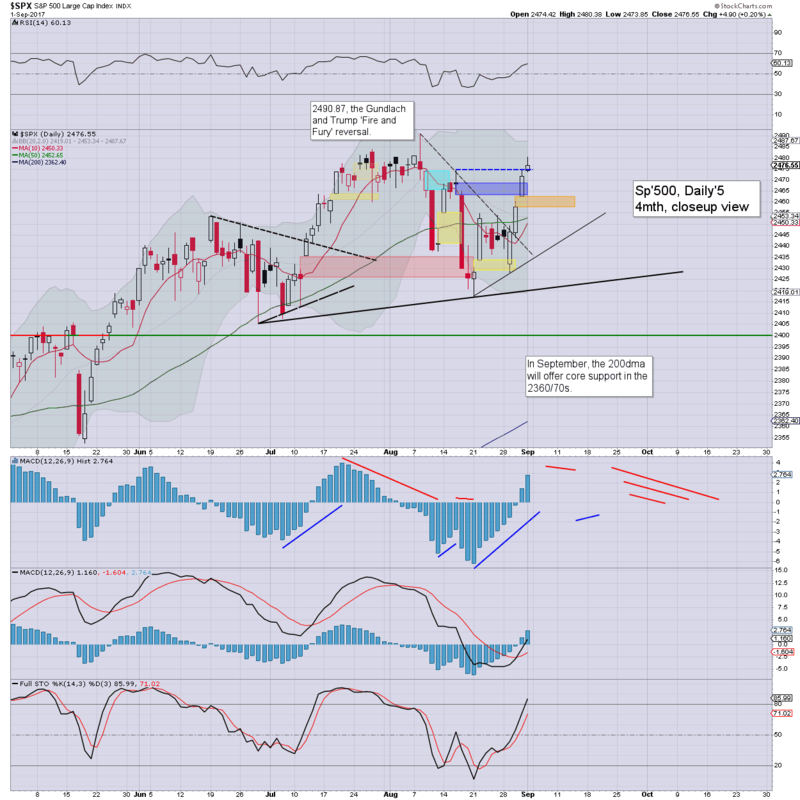 US equities opened a little higher, and clawed upward to a new cycle high of 2480.38. There was a touch of cooling in the late afternoon. Underlying MACD (blue bar histogram) is now on the high side, a rollover will be due next week, which should keep the sp' capped below the August historic high of 2490. With equities continuing to lean upward, market volatility melted lower for a third day, but notably managing to stay out of the 9s. On any basis, the VIX is now on the very low side. 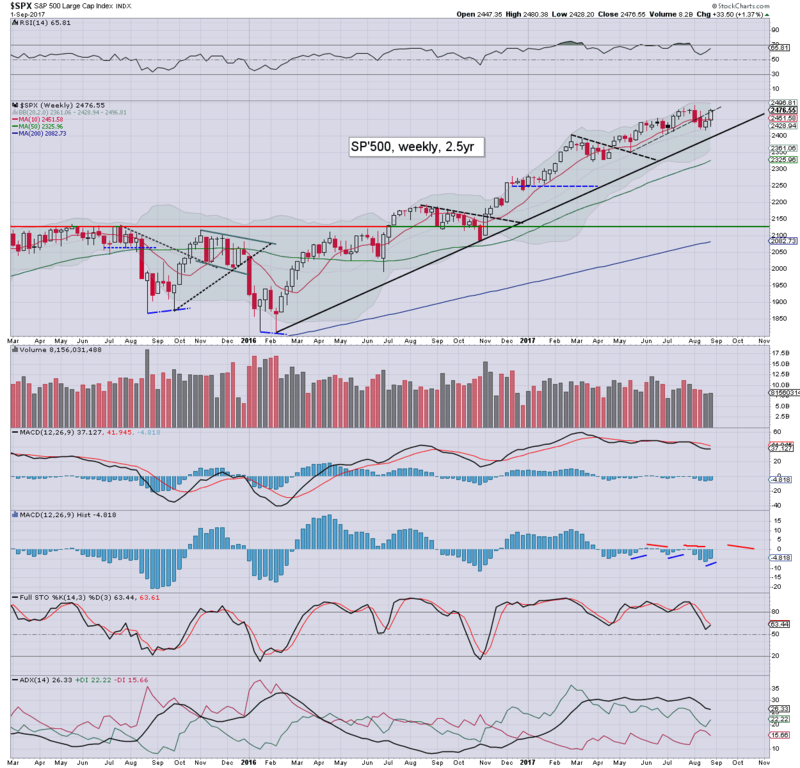 The sp' climbed for a second consecutive week, settling +33pts (1.4%) to 2476. Near term outlook offers at least 2462/57 next week, which should equate to VIX 12s. So long as we don't see any new index historic highs, there is very high threat of another sig' wave lower. The bigger weekly cycle offers 2370s into mid September, which would surely equate to VIX testing the key 20 threshold.